Western polled more than 3,299 students on sustainability and how it weaves into their personal and university lives. 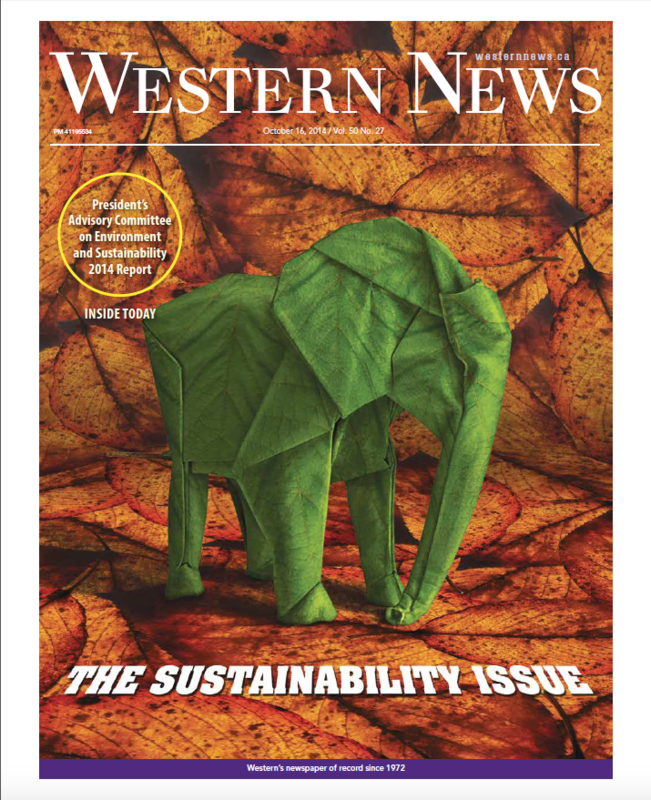 The results are part of Western News' issue dedicated to our sustainability efforts [PDF]. The President’s Advisory Committee on Environment and Sustainability (PACES) has been tasked with developing and recommending strategic plans to put into practice the principles of sustainability. These principles include engagement, ecology, efficacy, accountability, innovation and community engagement outlined in the University’s Policy on Environment and Sustainability. We are in the second year since the release of our 10-Year Vision and Five-Year Action Plan, and the University has a vast array of accomplishments to share. 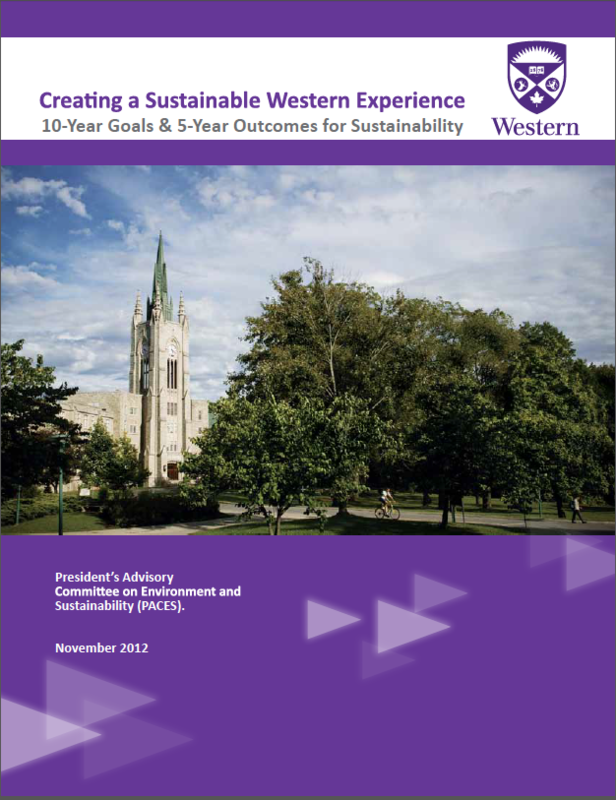 Read more about Western's sustainability efforts from PACES' report [PDF]. As an institution of higher learning, Western has tremendous intellectual capacity and potential to help address the world’s environmental challenges in meaningful ways through our teaching, research and sustainable operational practices. Collectively and as individuals, students, faculty and staff members have important roles to play in embracing the values of conservation, participating in sustainability initiatives, and ultimately minimizing our impact on the environment. Western’s commitment to achieving these goals is demonstrated on several fronts. For example, Western is a signatory to the Council of Ontario Universities’ Formal Declaration of Commitment to Environmental Sustainability, as well as to the Talloires Declaration—a global action plan signed by more than 350 university presidents from 40 countries around the world. To support the spirit and objectives outlined in these documents, Western has established its own formal policy on Environment and Sustainability and struck the President’s Advisory Committee on Environment & Sustainability (PACES). PACES’ mandate is to set goals for Western’s sustainability efforts, engage the broader campus community in supporting these initiatives, and monitor progress. 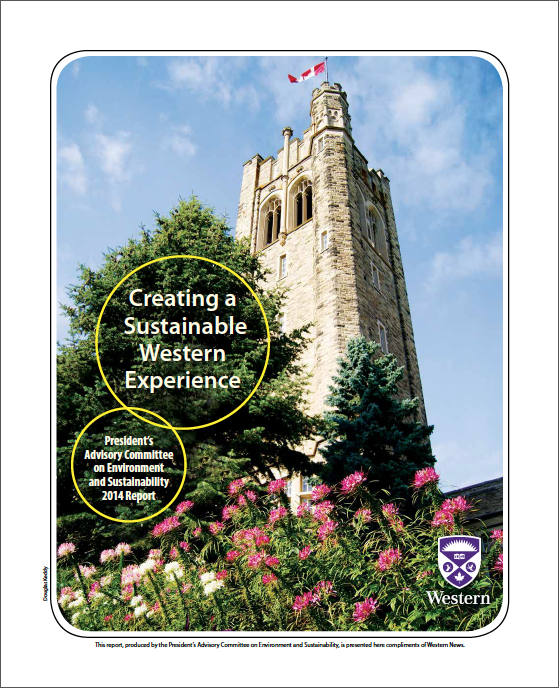 Over the last several years, we have heard from many of you on your visions for sustainability at Western. We have heard that many of you would like to see a greener Western; a Western where sustainability is embedded in our community and how we do things. We also heard that there is great opportunity to better connect the student-body, staff, faculty and alumni in joint efforts at achieving sustainability at Western and in our academic and research activities. We have been inspired by your visions. Our strategy “Creating a Sustainable Western Experience” is testament to that inspiration, setting us forth on a shared direction for Western’s sustainability endeavours. The strategy sets out our 10-year goals and our 5-year desired outcomes. It now needs you —Western students, staff, faculty and alumni— to work with us to implement the “how”. There will be steps that we can all take to help us meet our desired outcomes. Imagine Western in the year 2022. Western will be leading the effort to build a sustainable society. In finance. In engineering. In social work. In disciplines that may not exist today.